U.S. stocks fell steeply on Friday as Wall Street recorded its first monthly loss since August. Investors have plenty on their plate to worry about from emerging markets, an earning season failing to ignite excitement and a lackluster consumer confidence that is being felt by many retailers who have recently issued negative guidance. The Dow suffered yet another triple digit point decline with both the S&P 500 and Nasdaq ending noticeably lower. The Dow lost 0.94 percent, closing at 15,698.85. The S&P 500 lost 0.65 percent, closing at 1,782.58. The Nasdaq lost 0.47 percent, closing at 4,103.88. Gold gained 0.17 percent, trading at $1,244.60 an ounce. Oil lost 0.83 percent, trading at $97.41 a barrel. Silver gained 0.23 percent, trading at $19.17 an ounce. December Personal Income rose 0.0 percent month over month, lower than the 0.2 percent gain expected. Personal spending rose 0.4 percent month over month, higher than the 0.2 percent gain expected. Fourth Quarter Employment Cost Index rose 0.5 percent quarter over quarter, higher than the 0.4 percent expected. January Chicago PMI read 59.6, higher than the 59.5 consensus estimate. January Reuters/UofM Consumer Sentiment read 81.2, higher than the 81.0 expected. 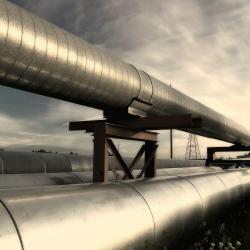 The U.S. State Department said that the Keystone pipeline would not add to climate change. The Securities and Exchange Commission approved the merger between BATS Global and Direct Edge. The combined exchange will be the second largest stock exchange behind the NYSE and, and ahead of the Nasdaq exchange. The merger is expected to be fully completed during the current quarter. Canadian GDP rose 0.2 percent, in-line with expectations. The Loonie, however, slid to a five year low against the greenback at $0.8916. German retail sales fell 2.5 percent on month in December after rising in 0.9 percent in November. The data contrasts consumer confidence as well as other positive economic data. Japanese core inflation increased to 1.3 percent in December from 1.2 percent in November. The Bank of Japan has a 2 percent inflation target. Analysts at Morgan Stanley upgraded Netflix (NASDAQ: NFLX) to Equal Weight from Underweight following the company's fourth quarter results. The analysts emphasized that Netflix's international business could continue to significantly increase net sub additions with a European expansion. The analyst reported that the European expansion may include Germany, France, Spain, and Italy. The analysts noted “these countries in aggregate represent an opportunity nearly the size of the US, and rolling out to these markets could significantly alter the trajectory of international sub adds.” Shares hit new 52 week highs of $412.40 before closing the day at $409.47, up 1.19 percent. A total of 13 sell side firms increased their price targets on Google (NASDAQ: GOOG) following yesterday's somewhat mixed results and split announcement. Analysts at Needham raised their price target to $1,350 from a previous $1,150 noting the strong performance of its “Other Google Revenue” segment such as Chromecast and Nexus 5. Analysts at RBC Capital Markets upped their price target to $1,400 from $1,300 noting that the sale of the Motorola division is a positive. The analysts also found positive in Google's traffic acquisition costs which remain under control. Shares hit new 52 week highs of $1,186.54 before closing the day at $1,181.00, up 4.02 percent. Related: Will Apple Or Google Bring The Augmented Reality Revolution? Analysts at Morningstar said that Potash Corp's (NYSE: POT) volume will grow significantly over the long run as demand in emerging market continues to grow. The analysts noted “We were expecting a sharper bounce-back in potash volume, as uncertainty in the potash markets seems to be abating and buyers are returning to more normal purchasing patterns. While the market has settled down somewhat with new China contracts from Canpotex and Uralkali, PotashCorp is predicting its potash volume will grow only 1%-6% in 2014. We were expecting a growth rate in the double digits, even given the company's December announcement that it would temporarily cut operating capacity to reduce costs.” Shares gained 0.22 percent, closing at $31.31. Analysts at William Blair upgraded JDS Uniphase (NASDAQ: JDSU) to Outperform with a $15 price target. The analysts noted "The NSE (network service enablement) business has likely hit bottom after two consecutive years of declines and begins to exhibit growth on an annual basis starting in the March quarter” and that “we expect the NSE business to show growth of 2.5% in fiscal 2014 and 9% in 2015." Analysts at MKM maintained a Neutral rating but increased the price target to $15 from a previous $13. The analysts noted that the company's “December report and March outlook were meaningfully more upbeat than widely expected and in line with our recent thesis that the fundamentals are strengthening against what were fairly low expectations” and that “optical Telecom revenues increased sequentially in 2QFY14 driven by 100G components and were guided to grow again in 3QFY14.” Shares gained 4.48 percent, closing at $13.29. Analysts at Robert Baird upgraded shares of Tetra Tech (NASDAQ: TTEK) to Outperform from Neutral with a price target of $36. The analysts noted the company's strong cash flow generation and potential to improve leverage should boost shares. Shares gained 2.00 percent, closing at $29.52. Sanofi (NYSE: SNY) has sued Eli Lilli (NYSE: LLY) over the alleged infringement of patents related to its Lantus diabetes treatment. Shares of Sanofi lost 2.35 percent, closing at $49.00 while Eli Lilli gained 1.39 percent, closing at $54.01. Related: Pfizer vs. Eli Lilly - Which Is The Better Investment? Morgan Stanley disclosed that it holds a 5.3 percent passive stake of GT Advanced Technologies (NASDAQ: GTAT). Shares gained 1.79 percent, closing at $10.26. 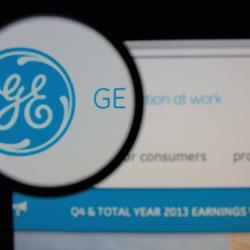 General Electric (NYSE: GE) is expected to file an IPO for its finance unit, GE Capital, in the next two months. The company plans to sell 20 percent of shares to the public with the remainder of the unit spun off to General Electric shareholders in 2015. The unit could be valued at more than $20 billion. 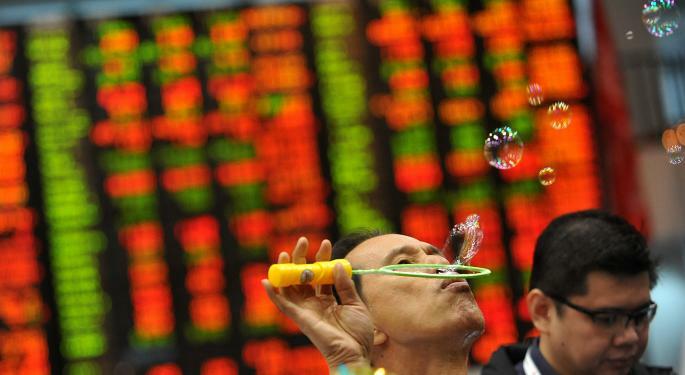 Shares lost 1.49 percent, closing at $25.12. A U.S. judge has approved Bank of America's (NYSE: BAC) contested $8.5 billion mortgage settlement with private investors. Shares lost 1.00 percent, closing at $16.76. Wal-Mart (NYSE: WMT) issued a profit warning and said that its fourth quarter EPs will come in at or below the low end of its $1.60 to $1.70 guidance. The company blamed the unusually large number of winter storms and a reduction in the U.S. government Supplemental Nutrition Assistance Program on its declining sales. 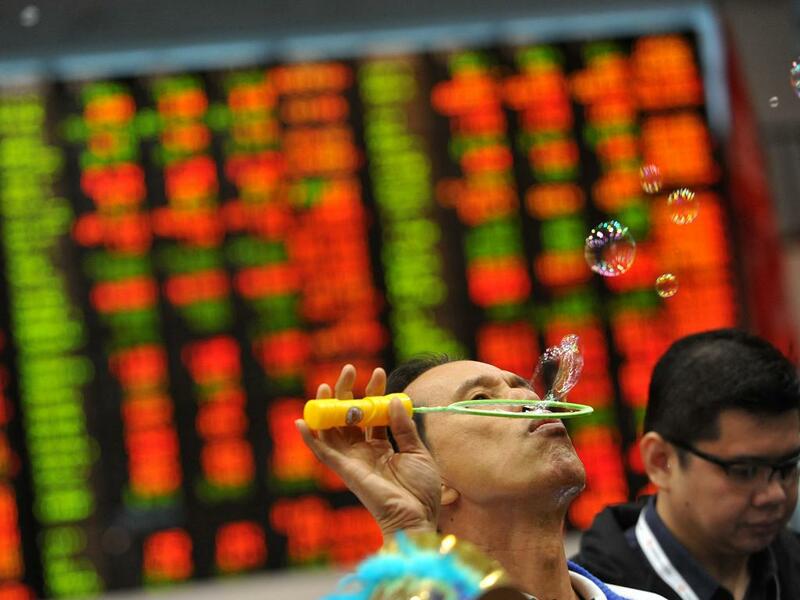 Shares lost 0.09 percent, closing at $74.68. The Wall Street Journal and other media sources are reporting that Microsoft's (NASDAQ: MSFT) is set to meet over the weekend, and that a CEO announcement is likely to occur next week. Various sources are saying that Satya Nadella is set to receive the nod and Bill Gates may step down as chairman. Shares gained 2.66 percent, closing at $37.84. According to Reuters, Merck (NYSE: MRK) has received buying interest for its consumer healthcare business which could fetch $8 billion to $10 billion. Shares lost 1.01 percent, closing at $52.97. Twitter (NYSE: TWTR) entered a cross-licencing agreement and bought 900 patents from IBM (NYSE: IBM). Shares of Twitter gained 1.62 percent, closing at $64.50 while shares of IBM lost 0.40 percent, closing at $176.65. Men's Wearhouse (NYSE: MW) is confident that it can hammer out a deal with Jos. A. Bank (NASDAQ: JOSB) if the two sides can get together with “limited” due diligence. Shares of Men's Wearhouse gained 2.21 percent, closing at $48.04 while Jos. A. Bank gained 0.92 percent, closing at $56.22. Last night, Chipotle Mexican Grill (NYSE: CMG) delivered a strong fourth quarter result which included an EPS and revenue beat. The company offered several hints on its Pizza initiative that is in early testing stages in the Denver region. Analysts at Raymond James admitted they were wrong having a bullish stance and said “We continue to be wrong-footed by waiting for a maturation of [Chipotle] per-unit sales, which we would expect to create a lower-risk re-entry point for investors. Instead, the chain continues to produce industry-leading comp sales growth despite its significant size ($3.2 billion in sales and just under $700 million of EBITDA in 2013, which came from almost 1,600 units producing average sales per square foot at an industry leading rate of $800).” Shares hit new 52 week highs of $568.90 before closing the day at $551.96, up 11.74 percent. This morning, Tyson Foods (NYSE: TSN) reported its first quarter results. The company announced an EPS of $0.72, beating the consensus estimate of $0.63. Revenue of $8.76 billion was in-line with the consensus estimate. The company reported a nice mix of volume which rose 2.5 percent and price gains of 2.4 percent. The company issued 2014 revenue forecast of $36 billion, ahead of the $35.75 billion consensus. The company said that it sees a favorable chicken input costs and lower feed ingredient costs throughout the fiscal year. Shares hit new 52 week highs of $38.25 before closing the day at $37.40, up 8.44 percent. Last night Wynn Resorts (NYSE: WYNN) provided a solid quarterly results on the heels of a strong Macau. CEO Steve Wynn said that the company still trails the levels of discounting of peers by a large margin. Analysts at Credit Suisse maintained a Neutral rating on shares with a $195 price target. The analysts noted that Macau and Vegas will continue to drive growth. Shares hit new 52 week highs of $219.90 before closing the day at $217.42, up 7.90 percent. Amazon.com (NASDAQ: AMZN) reported its fourth quarter results last night which missed estimates. The company offered a soft first quarter guidance and hinting that it will increase the yearly cost for its Prime membership. Many analysts defended the company including analysts at Morgan Stanley who said that a churn impact of a hike in Prime membership will be limited and that Prime “remains one of the best values around.” Analysts at Benchmark said that the company will still deliver 32 percent OIBDA growth in the first quarter. All said and done, S&P is the only analyst firm to change its rating as they cut shares to Sell. Shares lost 11.00 percent, closing at $358.69. U.S. Silica (NASDAQ: SLCA) issued a mixed guidance for the fourth quarter and expects an EPS of $0.31, lower than the consensus estimate of $0.43 and expects revenue of $149.5 million, in line with consensus. The company said that its fourth quarter results were hurt by severe weather which drove higher costs. The company also had a one-time cost related to a customer bankruptcy. Shares lost 7.50 percent, closing at $29.62. Rocket Fuel (NASDAQ: FUEL) priced its five million share stock offering at $61, below yesterday's close of $64.35. The company is expected to receive proceeds of $122 million from a two million new share offering. Shares lost 9.09 percent, closing at $58.50. Newmont Mining (NYSE: NEM) reported its gold 2013 output will come at the higher end level of its forecast. Analysts at Citigroup said that the company's “2014 Guidance Looks Lower on Production and Higher on Costs. [Newmont] is breaking from its historical reporting convention and guiding on a consolidated basis, expecting production of 5.0-5.4 mln ozs at a cash cost of $740-$790/oz compared to our prior estimate at 5.4 mln ozs at $685/oz. The midpoint of guidance would suggest equity gold production of ~4.7 mln ozs vs 5.1 mln ozs for 2013.” Shares hit new 52 week lows of $21.27 before closing the day at $21.60, down 10.37 percent. This morning, Chevron (NYSE: CVX) reported its fourth quarter results. The company announced an EPS of $2.57, missing the consensus estimate of $2.58. Revenue of $56.15 billion missed the consensus estimate of $47.14 billion. Operating revenue fell 4 percent year over year to $53.9 billion and worldwide oil and natural gas production fell 3.4 percent to 2.58 million barrels per day. E&P earnings fell 29 percent due to lower product levels and a drop in average sales prices in the U.S. Shares lost 4.14 percent, closing at $111.63. This morning, Mastercard (NYSE: MA) reported its third quarter results. The company announced an EPS of $0.57, missing the consensus estimate of $0.59. Revenue of $2.12 billion missed the consensus estimate of $2.14 billion. The company reported that it saw an increase of 14 percent in volume to $1.1 trillion and processed transactions rose 13 percent to 10.4 billion. The increased spending and transactions proved to be insufficient to offset higher levels of spending by the company and negative foreign exchange headwinds. Shares lost 5.12 percent, closing at $75.68. “Approval or denial of any one crude oil transport project, including the proposed project, remains unlikely to significantly impact the rate of extraction in the oil sands, or the continued demand for heavy crude oil at refineries in the United States.” – The State Department in an environmental assessment of the proposed Keystone XL pipeline.